We do not care for the subtle lies about transubstantiation they teach: that bread and wine leave or lose their natural substance, retaining only the appearance and color of bread, instead of true bread. It is and remains bread. 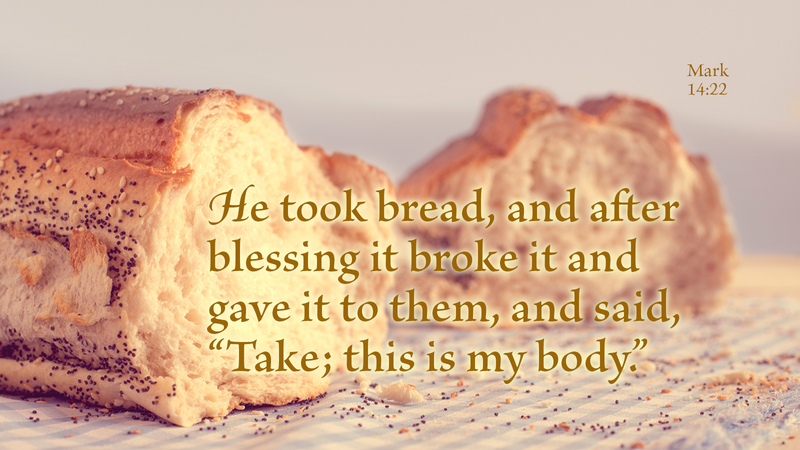 This perfectly agrees with Holy Scriptures, as Paul himself says, “the bread which we break” (1 Cor 10:16), and, “eat of the bread” (1 Cor 11:28). Take this bread; it is my body. That is straightforward talk that holds a mystery. You either believe what Jesus said, or you do not, or you add to his words so that they fit human reason. One cannot explain miracles, that which exceeds the natural. But one may believe without bending the mystery to fit the ability or willingness to believe. This belief is not without foundation, for these are the direct words of Christ Jesus, recorded in Scripture. Prayer: Give me faith to believe, Lord God. Amen. 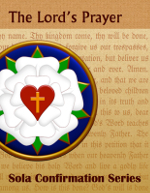 The Lord's Prayer workbook is a ten-week unit, which includes one session on the Introduction, each of the Petitions, and the Conclusion. The Scripture focus in the Lord's Prayer series is on the Parables of Jesus, with Bible Study lessons taken from the Gospels. The Sola Confirmation Series is a basic work-book style Confirmation curriculum, designed to serve as a simple and practical resource for teaching the biblical Word of God according to the traditional pattern of Martin Luther’s Small Catechism. Each book in the series can be used as the basis for a “come as you are” small group Bible study, as a student book for home school or independent study programs, or as a classroom tool and homework resource as part of an existing confirmation program.